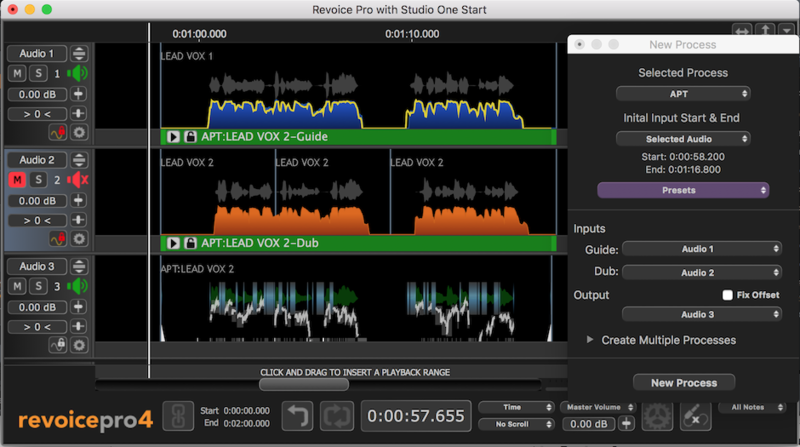 This topic shows you how to apply a process to the captured audio in Revoice Pro and how to replay the processed audio seamlessly in Studio One. 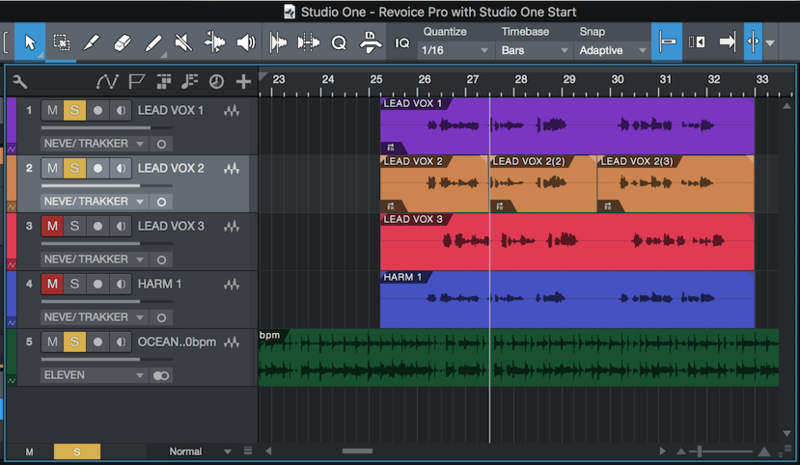 Please see the previous section Capturing Audio for details about transferring audio form Studio One to Revoice Pro using the ARA method. 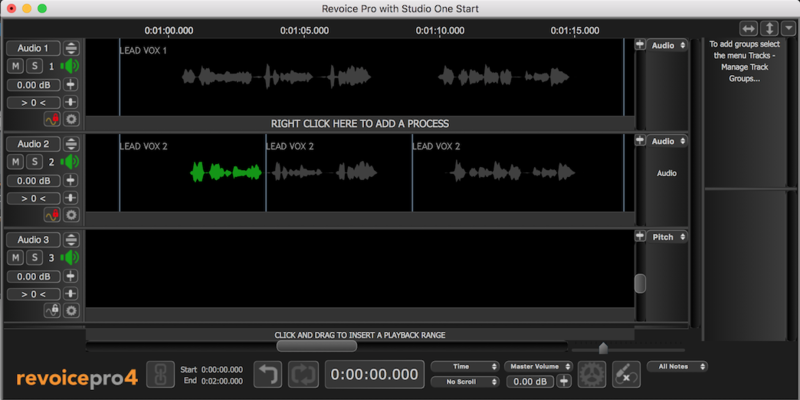 Continuing from the last topic where we created a simple project by transferring two simple (short) tracks to Revoice Pro. In this example we are going to use an APT (see Audio Performance Transfer (APT) for more details) to align the Dub signal LEAD VOX 2 to the Guide signal LEAD VOX 1. First,in Revice Pro select the Guide signal LEAD VOX 1 in track Audio 1. ..., which generates the following output on track Audio 3. 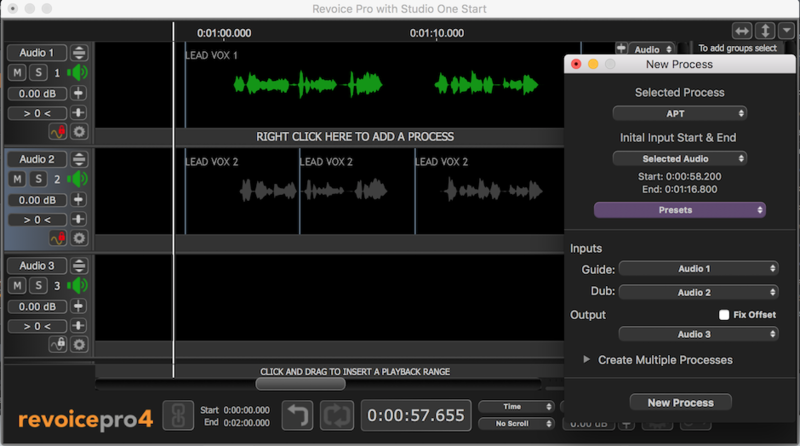 To audition the quality of the aligned output in Revoice Pro, press the key E and press the space bar. The ARA interface will automatically map the output of the APT process for the Dub signals back to the corresponding Audio Events in Studio One. In Studio One you can listen to the quality of alignment by listening to the first and second tracks. 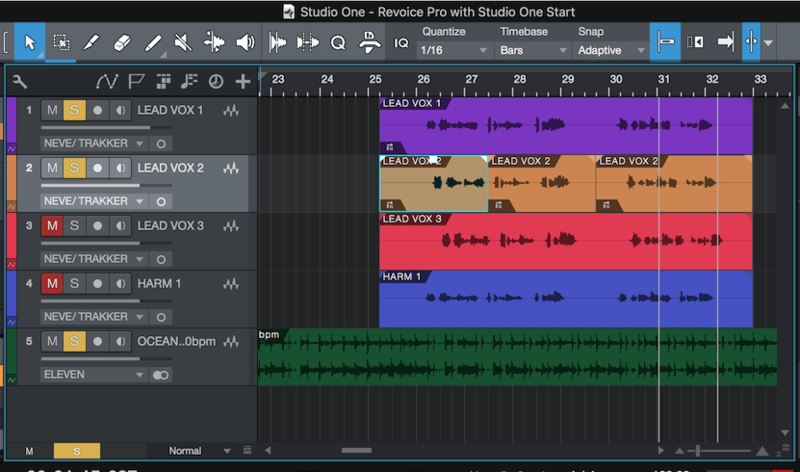 If you need to create a permanent version of the aligned signals, you use the Render function of Studio One on each of LEAD VOX 2 Audio Events. The rendered output has the advantage of showing accurate waveforms in Studio One's Audio Events. 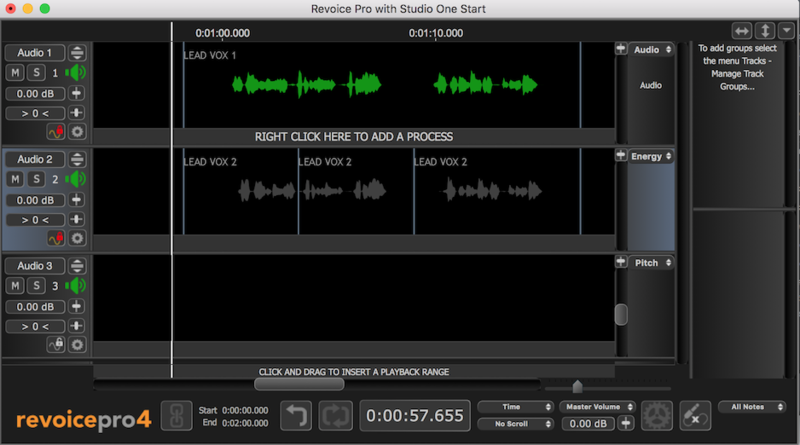 Example of having used Studio One's Render function to create a permanent copy of the three linked Audio Events, LEAD VOX 2.